With a Republican-controlled House and Senate, the GOP-backed $11.35 billion budget passed both floors Wednesday as expected. The two-year proposal now heads to the Governor, who repeated her promise to veto it once it arrives on her desk. Although the budget's fate was all but certain yesterday, it did not pass without debate in both chambers. Nearly every senator spoke on the issue – but their descriptions of the budget differed widely between the parties. Republican Sen. Russell Prescott of Kingston called the plan "the best budget that I have ever seen." Lawmakers butted heads over several issues that did not make it into the budget -- including continuing Medicaid expansion past 2016 and a $12 million pay raise for state employees. But the debate regularly returned to the business tax cuts that Democrats, along with the governor, say are unfunded and will create a steep revenue loss in future budgets. 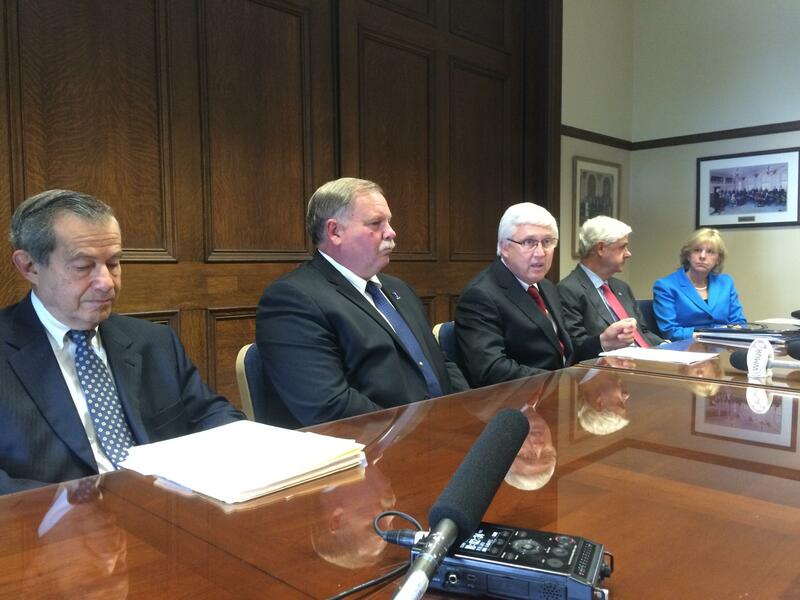 Republican House and Senate leaders met with the press before the budget went to both chambers. All agreed they would not budge on business tax cuts. Senate Majority Leader Jeb Bradley says even if Hassan does veto this budget, business tax cuts aren’t going anywhere. “These are modest, phased in, but they are vitally important. We will stick to our guns on this, we have to,” Bradley said prior to the vote. Over in the House, there was modest debate, with a handful of Democratic members echoing concerns similar to those voiced in the Senate. Among them were the choice to tap into an estimated $49 million surplus from the current budget year, which is not uncommon during the budget process. But Democratic Rep. Mary Jane Wallner of Concord argued Republicans' proposal relies in large part on money that’s already accounted for. “This budget uses carry-forward funds that are not really available. So, while the budget appears to fund important programs, the reality is the departments will have to make cuts in these very programs along the way to keep the budget in balance,” she told her colleagues on the House floor. But House Finance Chair Neal Kurk refuted such claims, adding that the budget is fiscally sound. “This is a reasonable budget. It is substantially better than the House budget in terms of services it provides, and it maintains the principles that animate New Hampshire: we live within our means,” Kurk said. Gov. Maggie Hassan says she will veto the budget once it hits her desk. And unlike in most previous budget cycles, once both chambers passed the two-year spending plan, their jobs weren’t over. 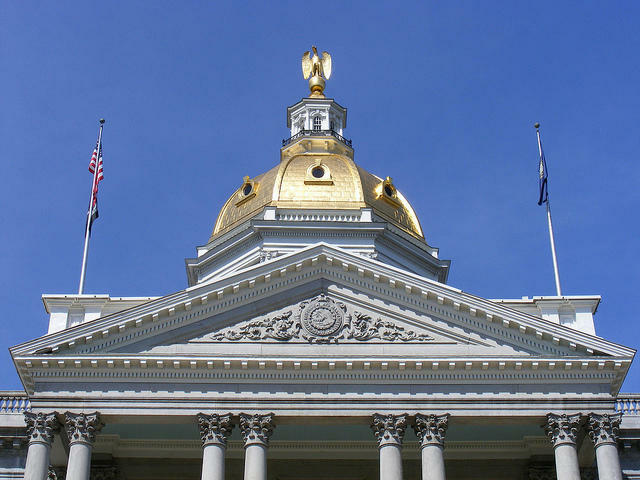 The House and Senate also had to vote on a six-month temporary state spending plan to effect July 1 in anticipation of Hassan's expected veto. Debates also broke out in the two chambers over what the so-called continuing resolution should look like. Democratic representatives argued for basing spending levels off of higher 2016 appropriations – arguing that if funded at 2015 spending levels, key services will not see the funding increase they fought for in the proposed plan. "I believe it is unfair to the people of New Hampshire, to say you oppose a budget and simultaneously propose an amendment that seeks to borrow from it," said House Majority Leader Jack Flanagan. But House Majority Leader Jack Flanagan of Brookline said this move would essentially be like cherry picking the budget. “I believe it is unfair to the people of New Hampshire, to say you oppose a budget and simultaneously propose an amendment that seeks to borrow from it,” he argued. Multiple Republican leaders, including Senate President Chuck Morse, urged the governor to back down from her call to veto it, saying it will do more harm than good. “Every other subject matter that went into this budget is what is going to be hurt if there is a veto on this budget, because I don’t see where a veto helps the state of New Hampshire,” Morse said. But Hassan said after the vote that she stands by her promise to veto. And if the governor does follow through on her promise, lawmakers don’t expect a new budget to come together until October. 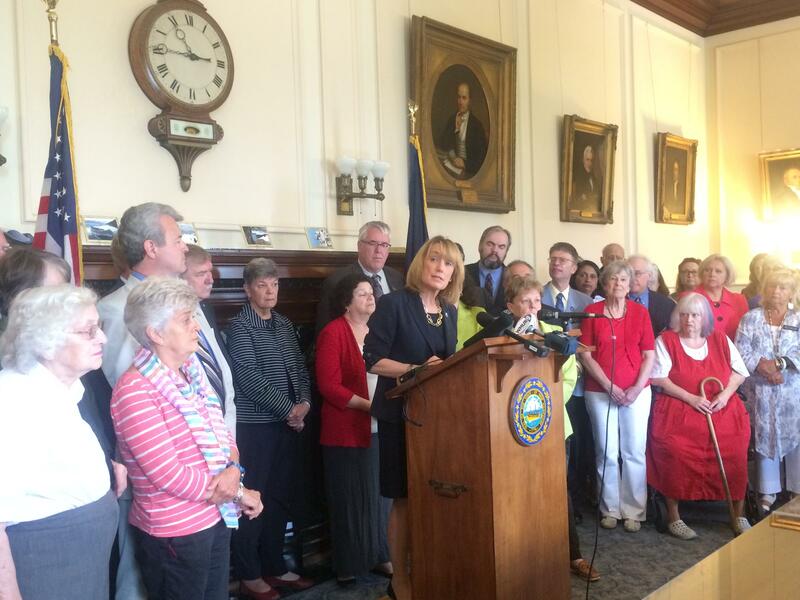 The House and Senate have officially passed a budget for the next two years – a plan that Governor Maggie Hassan promises to veto. Here’s a breakdown of how the governor’s budget proposal compares with the Legislature’s on a few of the major policy and funding points. 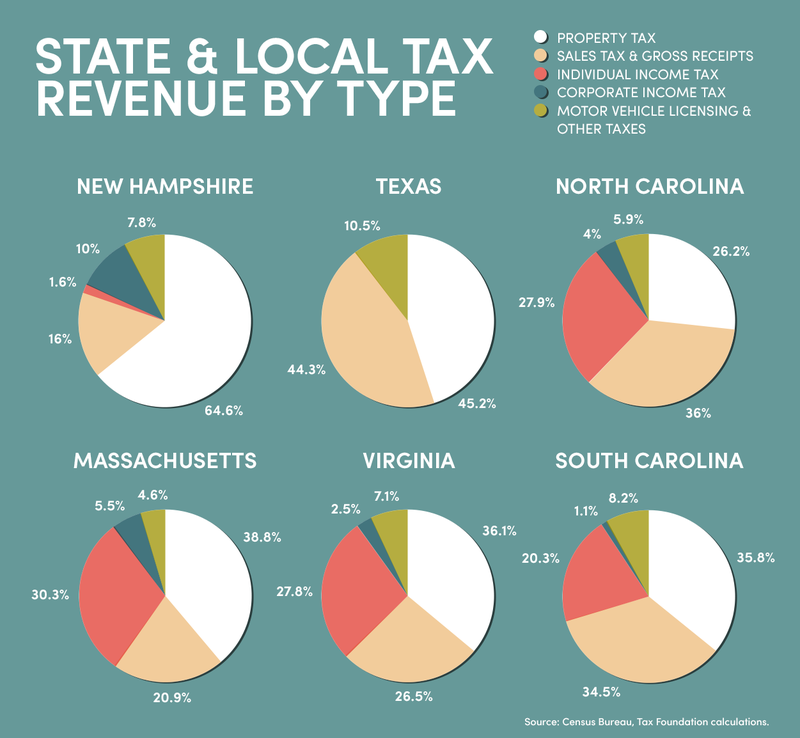 From the start of this year's budget negotiations, Republican leaders, as well as many business groups, have stressed that New Hampshire's corporate taxes, among the highest in the country, are driving away business. 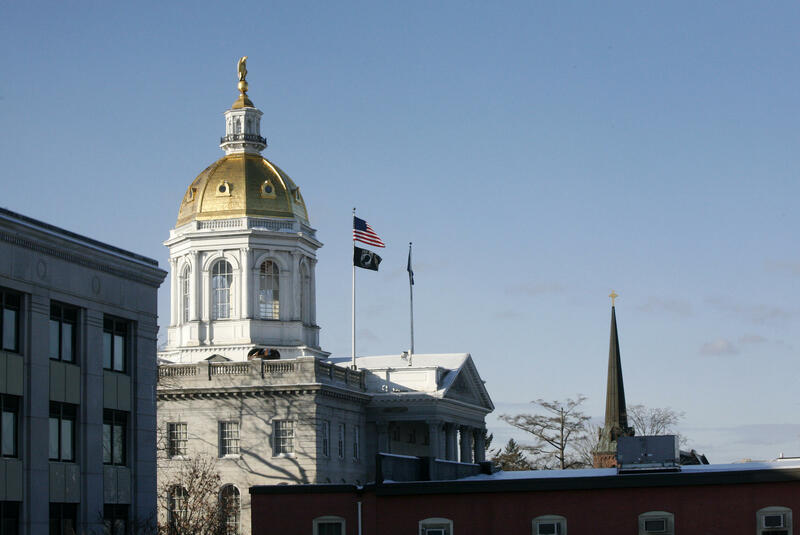 Dave Juvet, senior vice president of the state’s Business and Industry Association, says as other states have made efforts to lower their rates, New Hampshire has lost ground. State budgets contain multitudes: billions of dollar signs, thousands of policy decisions, and almost as many political calculations. For any governor, the budget is likely to be the single biggest political test in his or her two-year term. For Gov. Maggie Hassan, this year’s budget poses a particular challenge: how to get a product she likes, or can at least claim to like, from an all-Republican legislature while heading into a big election year. 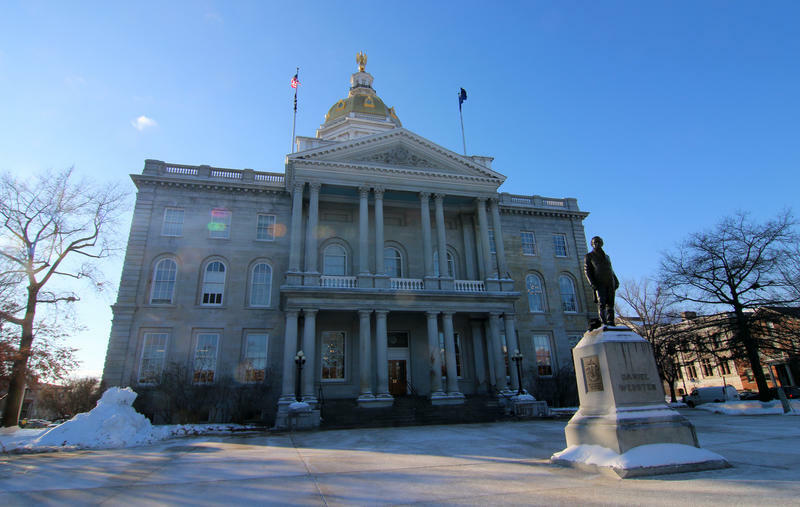 The debate over New Hampshire’s business taxes has largely played out along partisan lines this year, with Republicans supporting staggered cuts to the state's corporate tax rates, and Democrats opposed. But political rhetoric aside, let's look at the underlying numbers to better grasp the core policy issues.